"Bring your Facebook messages and notifications to your desktop." Social media has grown substantially from the little niche that it used to be. For the most part, Facebook has been the leader of that movement for some time now. When it came on the scene, it immediately stole the reign from Myspace which was, at the time, the most popular social media site/ service. Everyone wanted a Myspace. Nowadays, it is almost an embarrassment to have a Myspace page. Two of the key features that make Facebook so popular and easy to use is its fast and intuitive notification system and its messaging system. Notifications aren't a new feature. They were a part of Myspace and almost every other respected social network that has ever been. 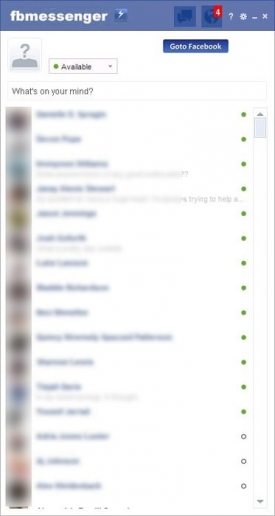 Facebook's notifications, however, one up the competition by being ideally informational, intuitive, and integrated properly with other applications. You can receive game notifications, birthday notifications, event invites, reminders and more all from one easily accessed notification center. And you can dismiss unimportant notifications as well. Don't want to ever see a notification like the one that you dismissed, Facebook allows you to handle that as well. 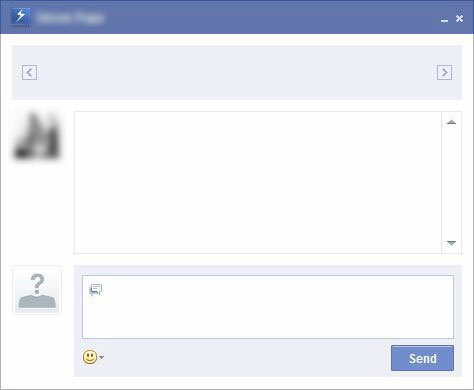 Facebook's messaging system brings you your messages quickly and in a beautiful and easy to use interface, complete with hundreds of custom emojis and expressions. Your messages can be accessed from any device with a screen and an internet connection. This application, Facebook Messenger, brings the best of Facebook to your desktop without the need of a web browser: your notifications and messages. Simply sign in and access all of your most important content.